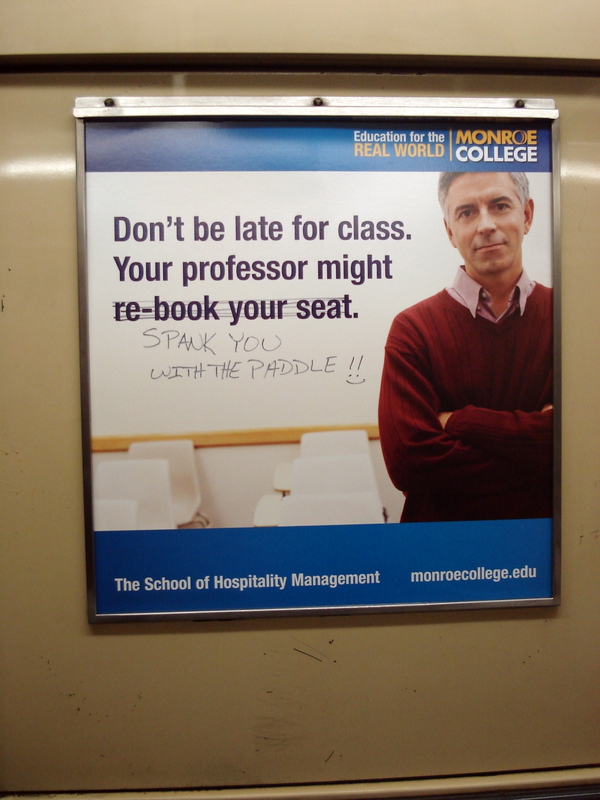 Don’t be late for class! We saw this on the subway to church the other day and I couldn’t help it — I just had to take a picture! Sometimes graffiti is hilarious.